Justice Department lawyers asked the Federal Court to quash the lawsuit filed by three former service members. Prime Minister Justin Trudeau attends an official ceremony marking the appointment of Richard Wagner as Chief Justice of the Supreme Court of Canada in Ottawa, Feb. 5, 2018. 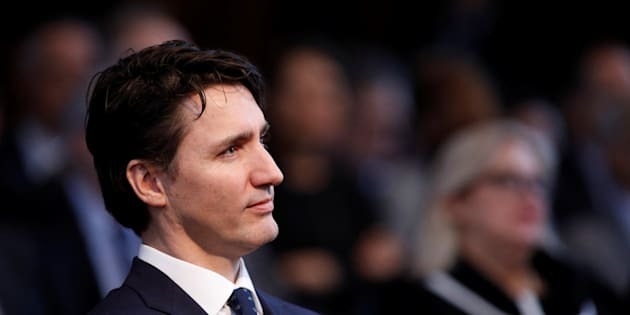 OTTAWA — Prime Minister Justin Trudeau is putting federal government lawyers on notice over their response to a lawsuit over sexual harassment and misconduct in the military. Justice Department lawyers filed a statement of defence in late December in which they asked the Federal Court to quash the suit, which was filed by three former service members. Among their arguments was an assertion that the government does not owe what's called a private law duty of care to provide a safe and harassment-free environment for individual military personnel. They also argue that they do not have a private law duty of care to create policies to prevent sexual harassment or sexual assault that is already prohibited by the Canadian Human Rights Act and the Criminal Code. Trudeau says the lawyers' arguments do not align with his beliefs, or those of his government and that he has asked Justice Minister Jody Wilson-Raybould to follow up with the lawyers. The lawsuit, which seeks $800 million in damages from the federal government, comes amid a concerted push by the military's top brass to eliminate all forms of sexual misconduct among those in uniform.